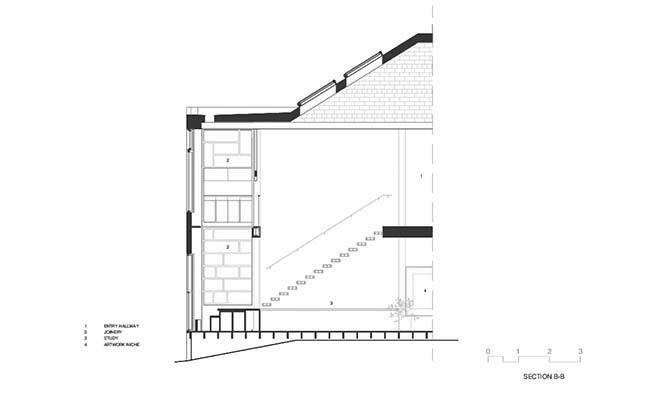 The Doorzien House modestly proffers a new precedent in a challenging conservation environment by breaking rank and dismantling the cottage typology. 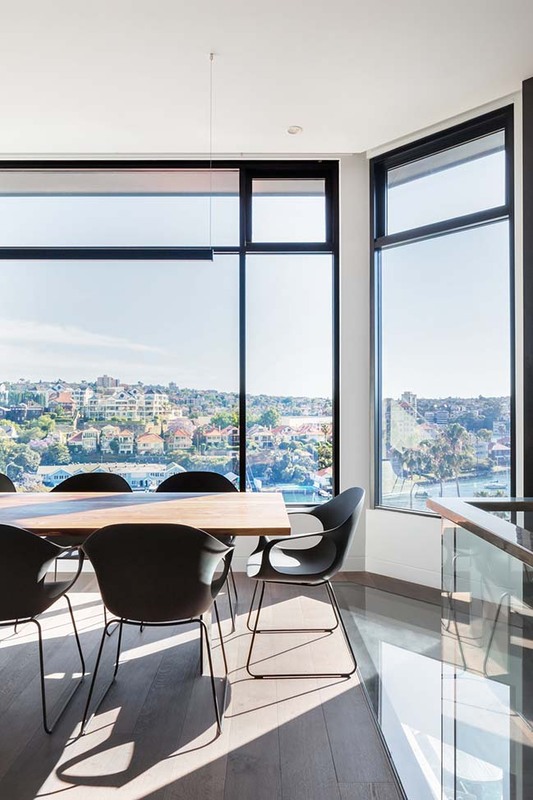 Tensions between private freedom and prescriptive planning are coupled with exploring the interplay of view and viewing, solid and void, through a multi-layered, sensory design response. 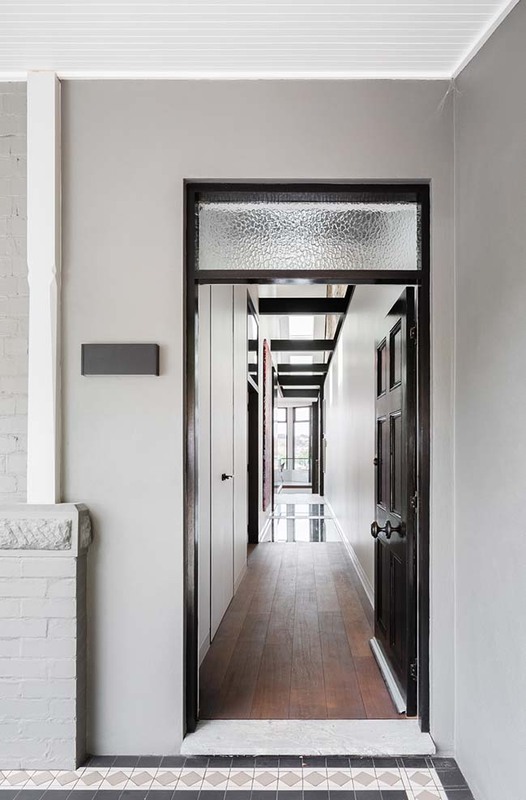 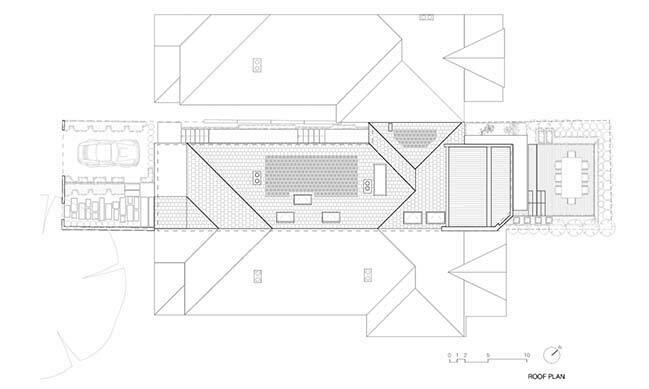 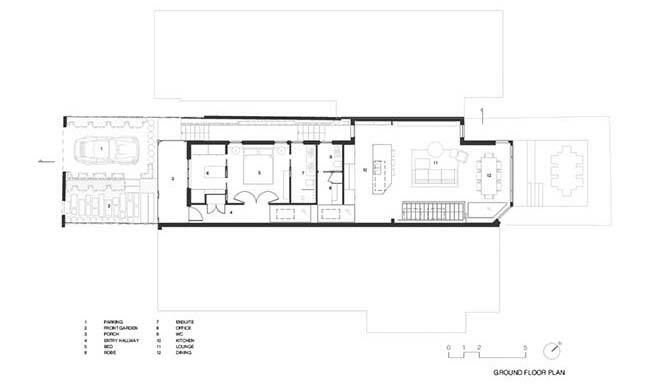 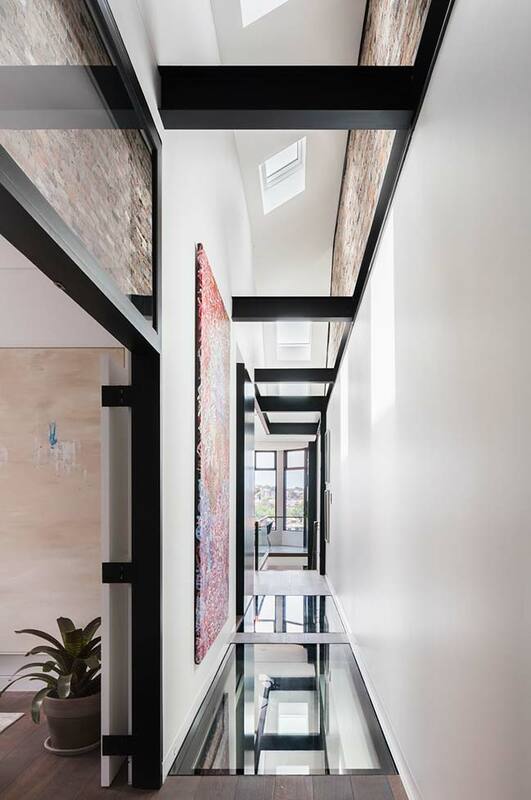 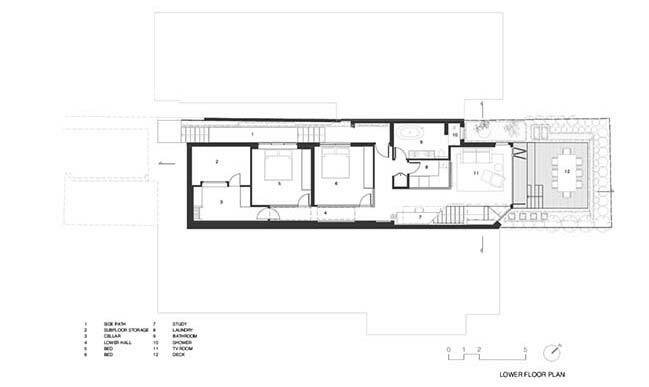 From the architect: Our clients’ brief appeared contradictory and unachievable: to create a home where “in crossing the threshold, the past was to be left behind”, and where interconnected yet separate living spaces should be experienced simultaneously. 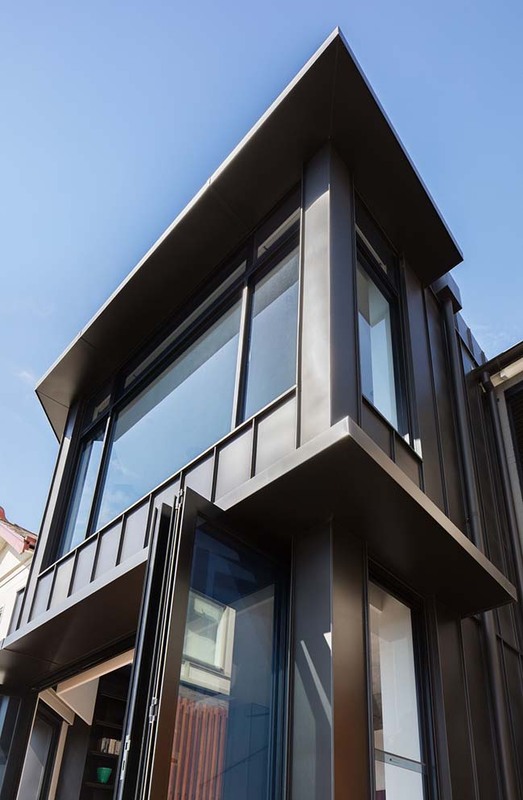 To address these conundrums, we pursued a Janus-like composition, moving the house from traditional façade-driven framework to a contemporary rear form that asserts a new typology, pushing the conservation dialogue in unexpected ways. 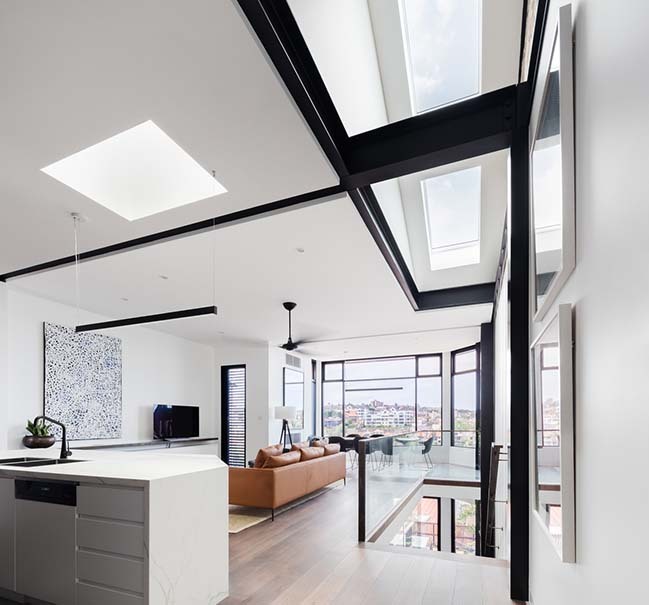 Glass elements – skylights, glass flooring, highlight panels and balustrading – conduct light and views. 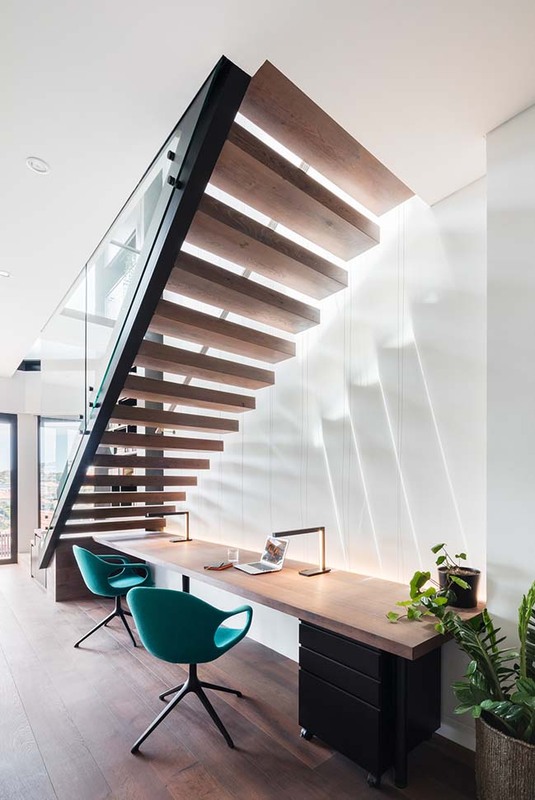 See-through corners erase expected barriers; turning any corner offers a different perspective, ever-changing under soft natural light. 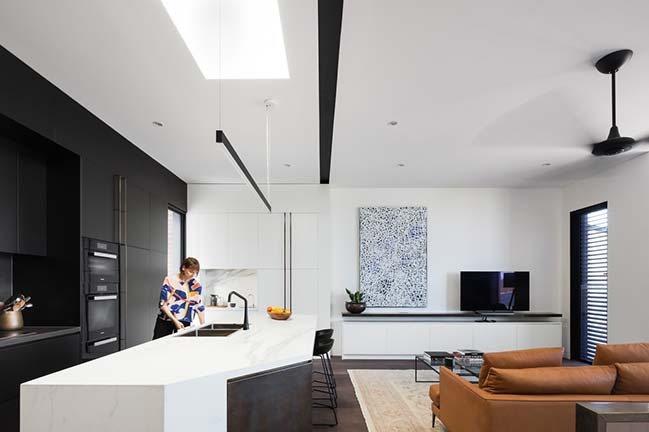 At the lowest floor level, the skylights and ridgeline twelve metres above are clearly visible, creating a dramatic sense of space. 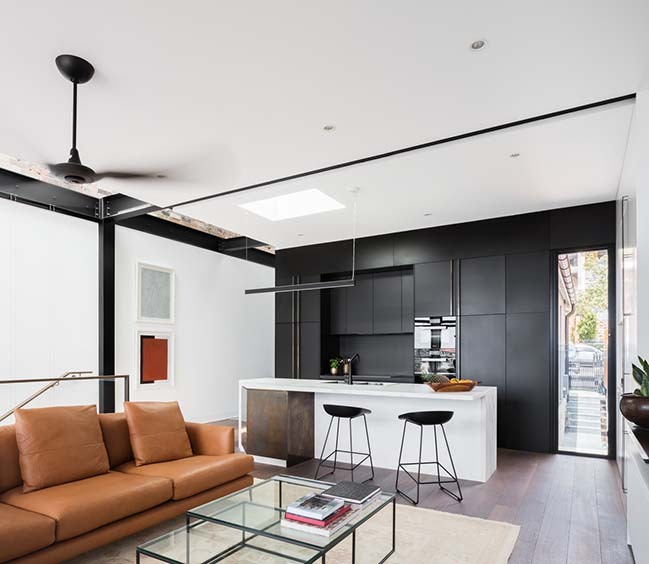 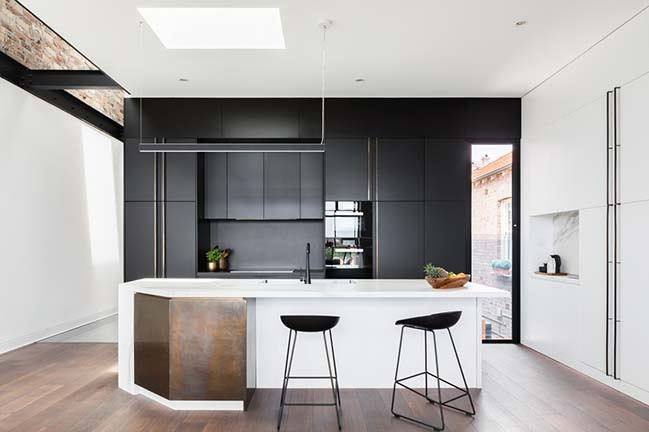 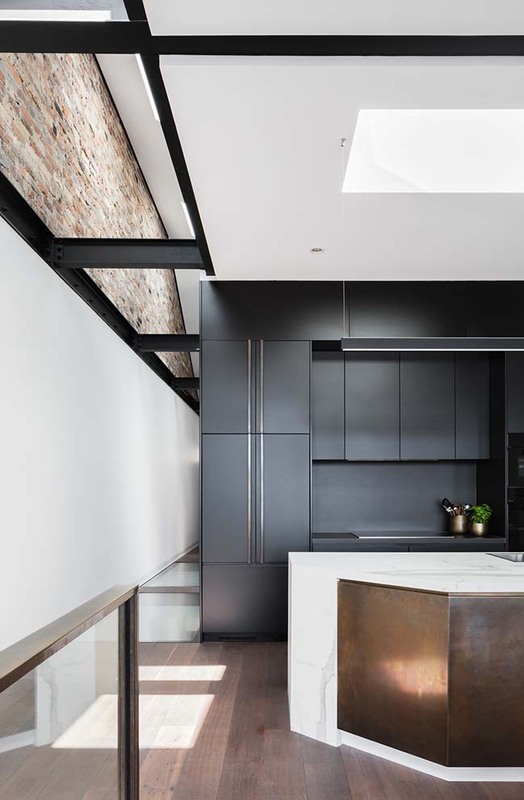 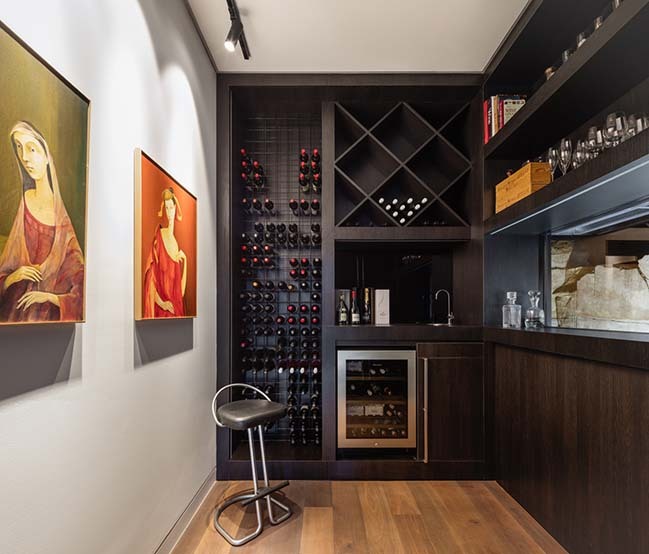 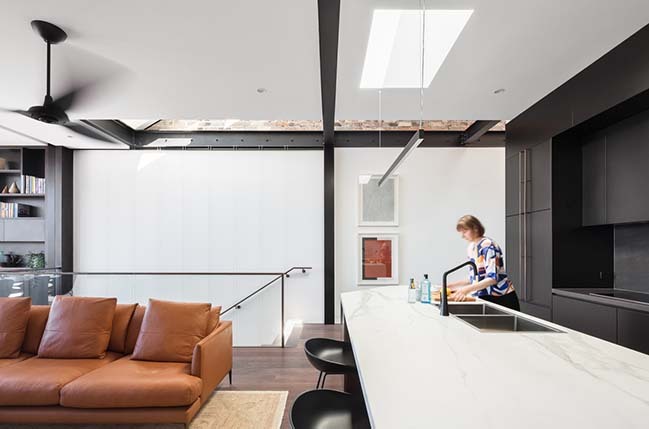 Solid elements articulate the expressed texture of original brickwork, the smooth white expanse of walls, the rhythm of steel cross beams, and the dark, brooding joinery peninsula that delineates kitchen and living spaces from sleeping quarters. 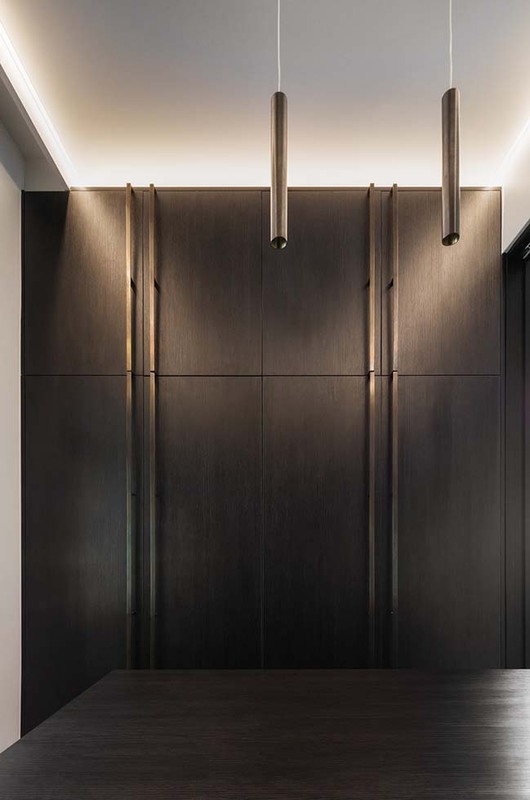 To embrace our clients’ desired openness and connectivity between the floor levels and surrounding context, we dismantled the existing plan. 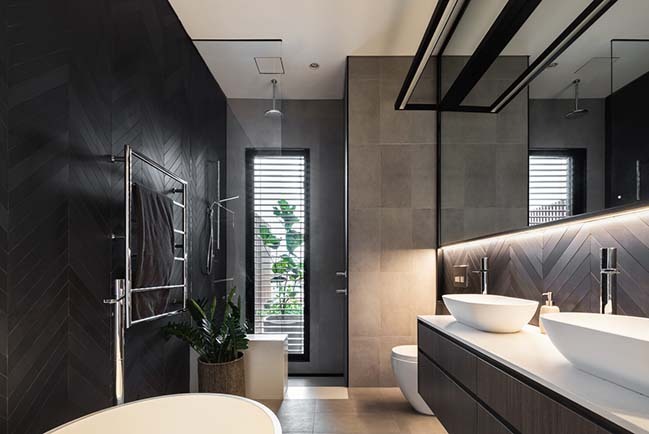 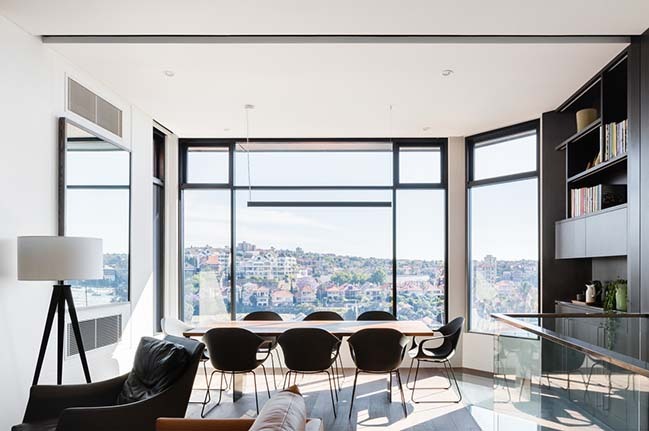 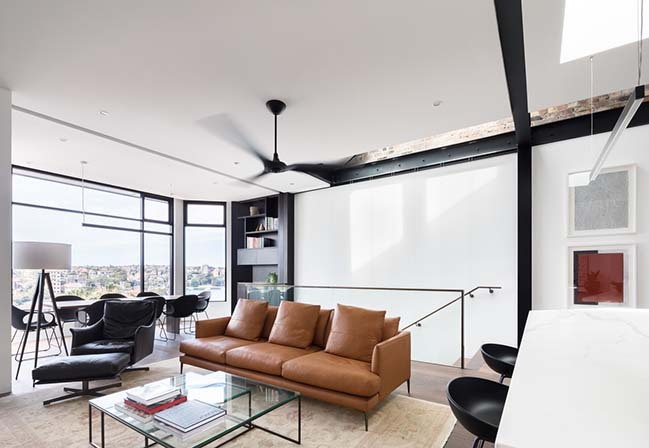 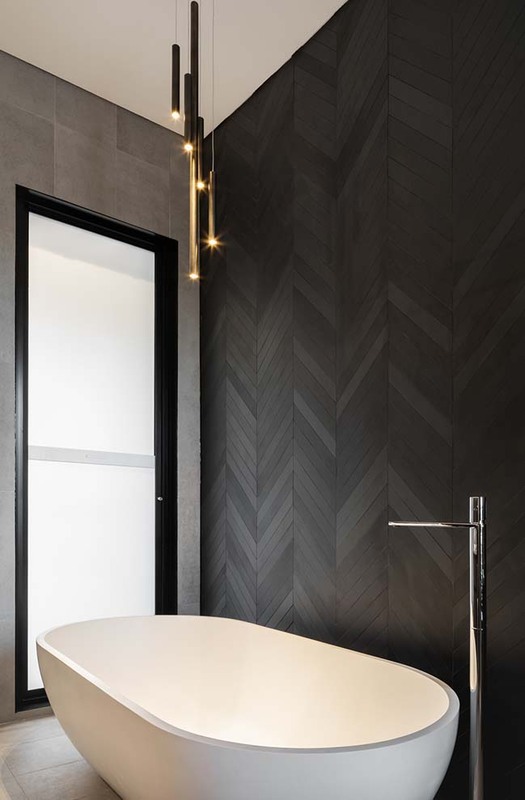 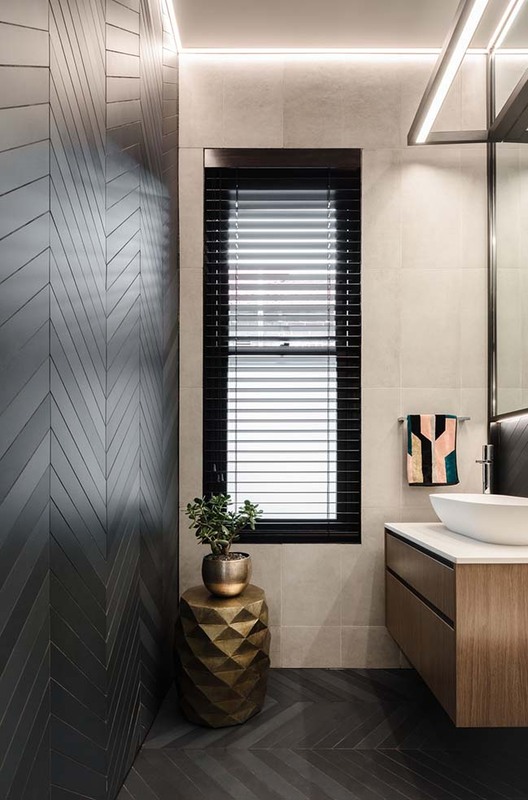 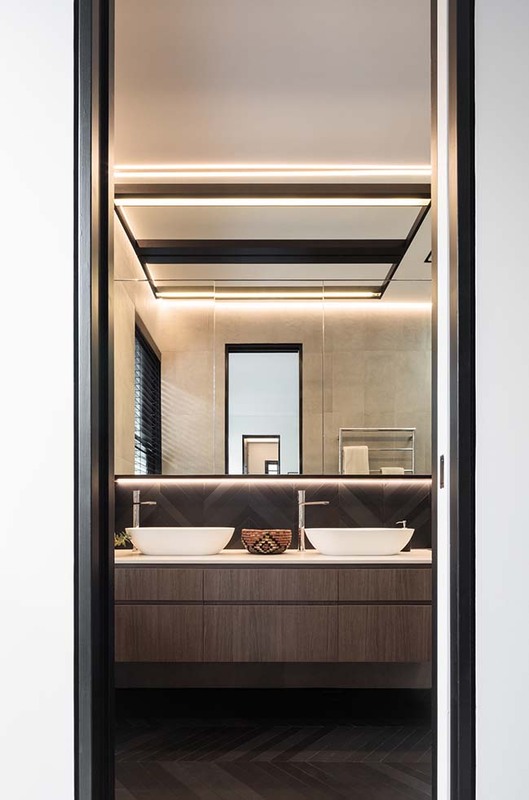 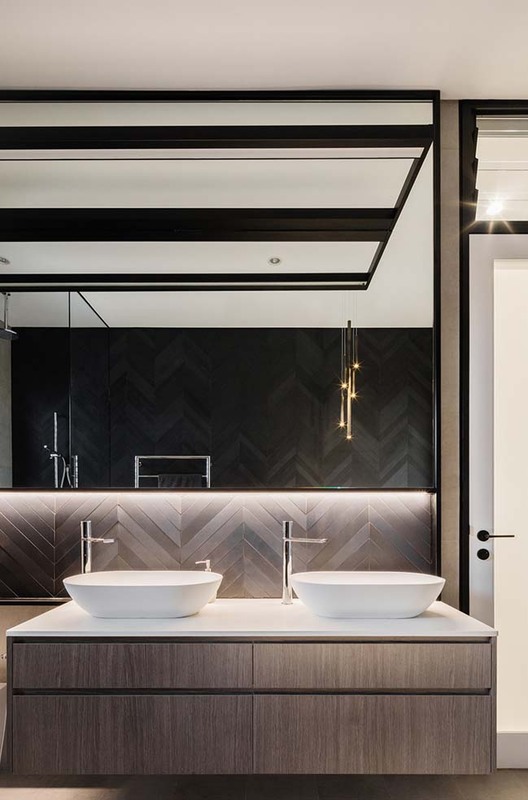 The broad Sydney Harbour view and neighbouring vistas are exploited by the hybridised living spaces, while each room retains its individual focus and remains intimate and warm through the material palette and layered lighting. 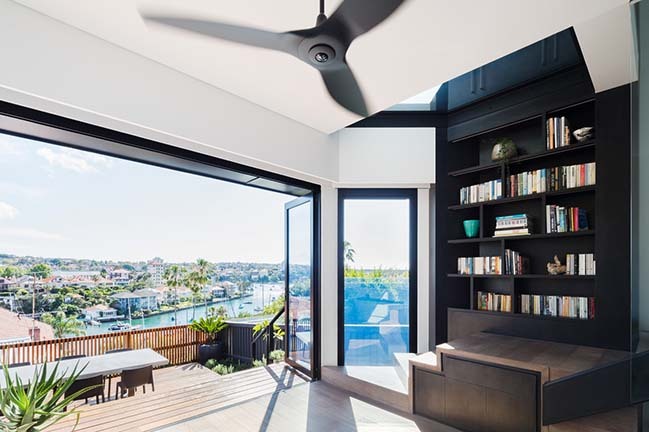 We oriented living spaces to the rear; multiple interior viewlines serve as a counterpoint to the expansive harbour views. 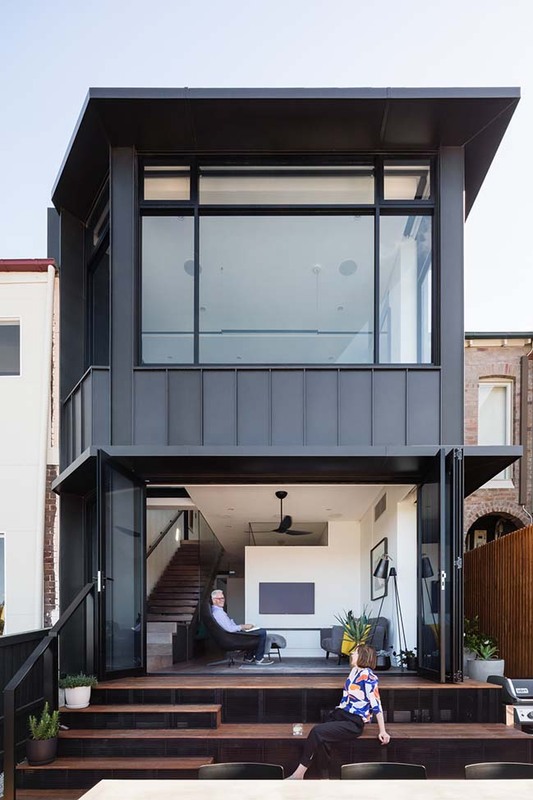 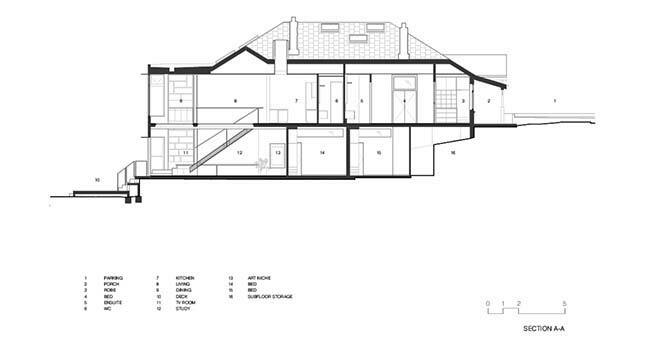 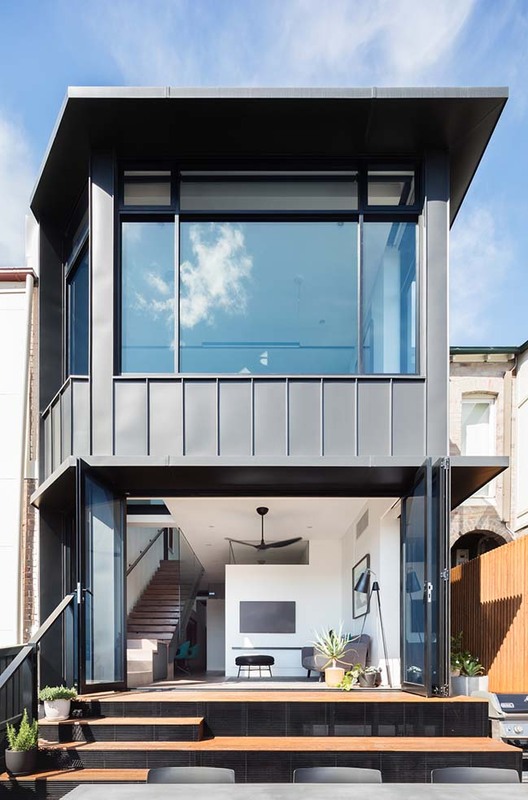 This approach continues to the rear garden, with bleacher-style steps moderating the level change, extending the study and sitting room interiors to form a third living space. 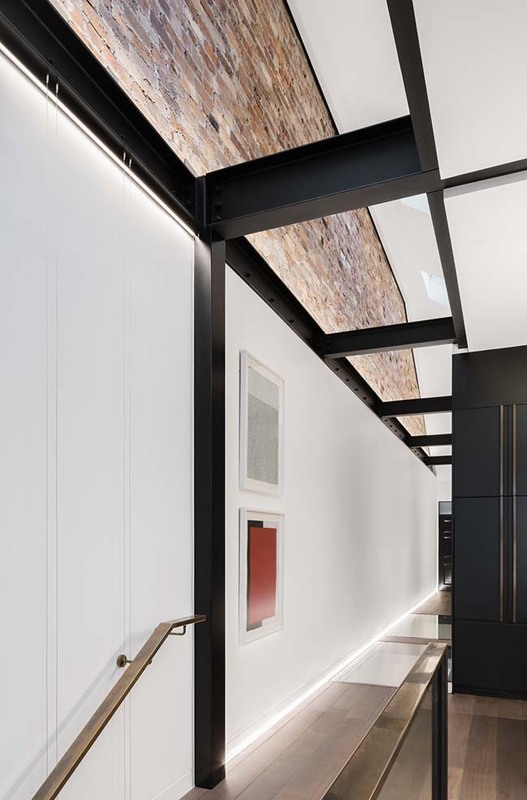 To elevate Doorzien’s streetscape presentation, we retained its heritage “skin”, removing unsympathetic prior alterations and applying restorative touches through material, colour, and landscaping. 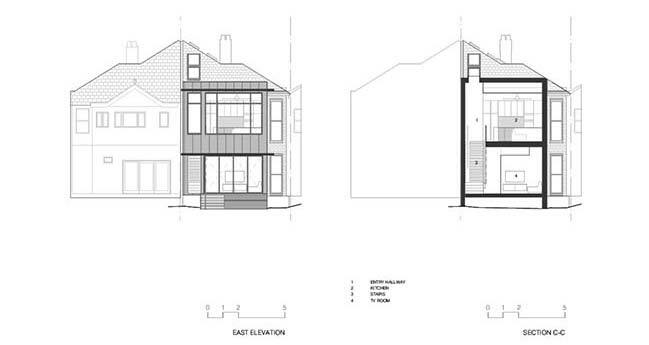 The eclectic rear “streetscape” offered us an opportunity to forge a new heritage narrative. 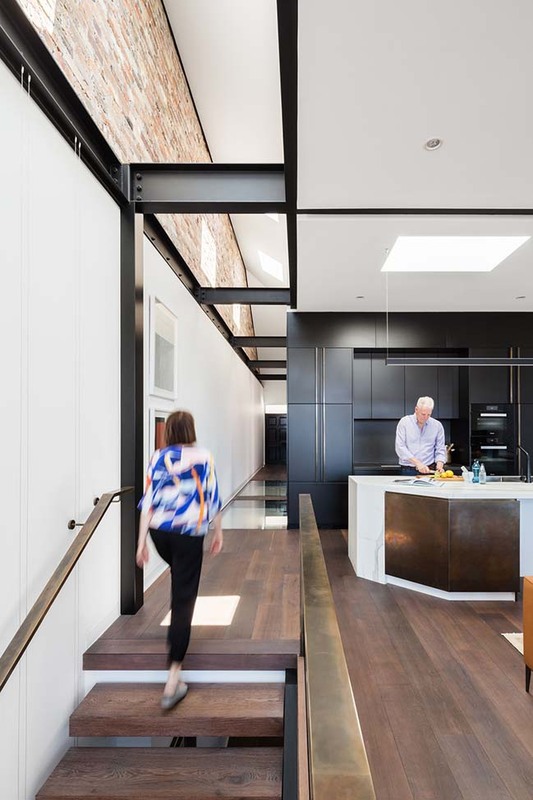 Our response was the zinc-clad rear addition, a significant formal assertion drawing on Kirribilli’s naval and industrial history. 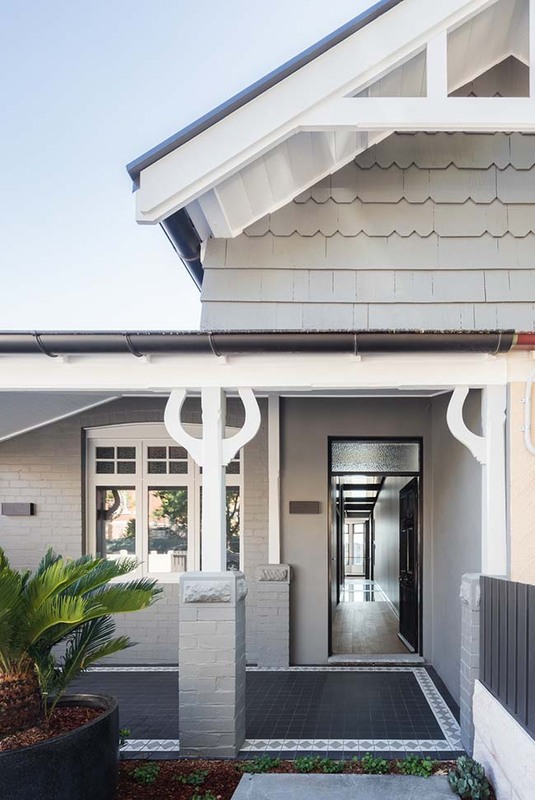 Adopting the client’s expertise, we integrated a world-first installation of Redback Technologies’ Gen II inverter and battery with 3.5kW of Nu-Lok solar roof tiles – the first approved installation for a NSW conservation area. 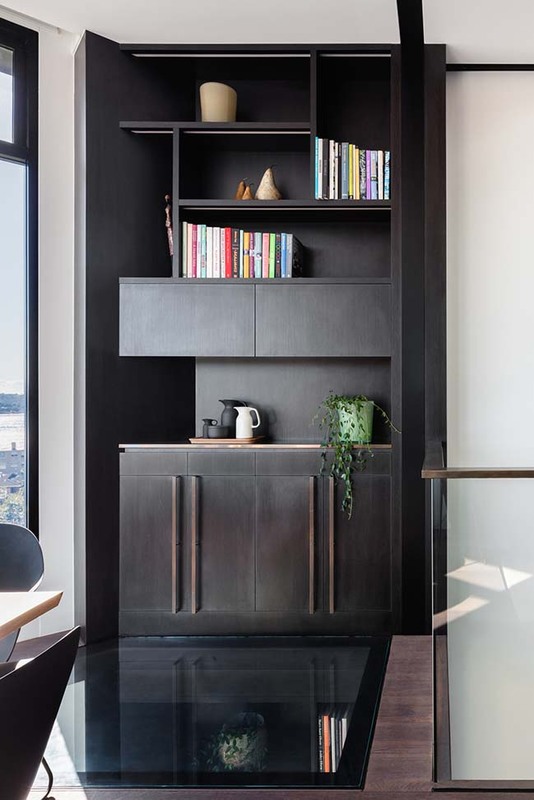 Materials and finishes were selected for durability, low maintenance requirements, and anticipated longevity with respect to aesthetics and functionality. 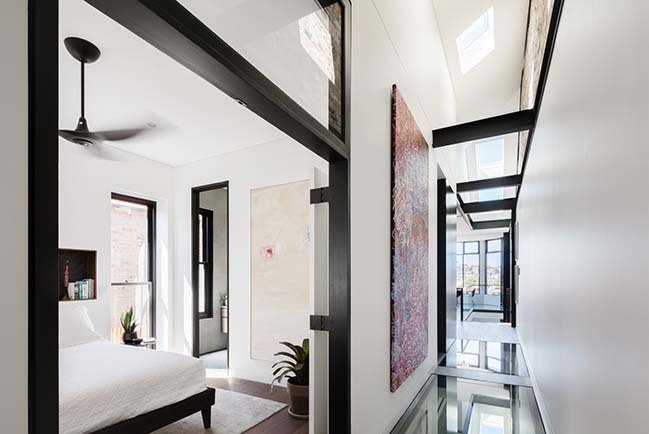 The solar tiles and battery were calculated to offset energy usage in the short term, moving the dwelling to a future off grid.